Will there be another season of Marvel’s The Defenders? 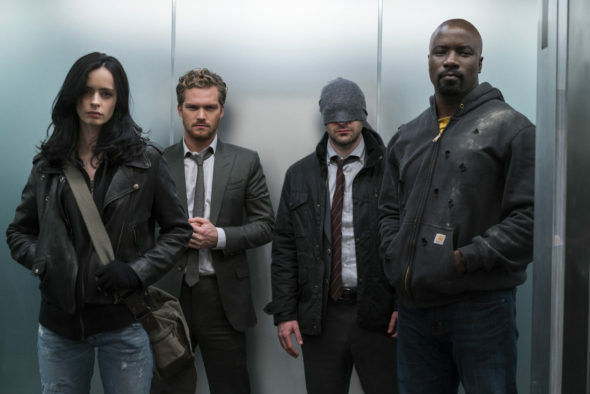 Recently, Marvel TV boss Jeph Loeb spoke with Entertainment Weekly about the future of the Netflix series. The superhero drama follows Matt Murdock a.k.a. Daredevil (Charlie Cox), Jessica Jones (Krysten Ritter), Luke Cage (Mike Colter), and Danny Rand a.k.a. Iron Fist (Finn Jones) as they team up to fight crime in New York City. Later, Loeb said ultimately the decision lies with Netflix. What do you think? Are you a fan of Marvel’s The Defenders? Would you watch a second season?